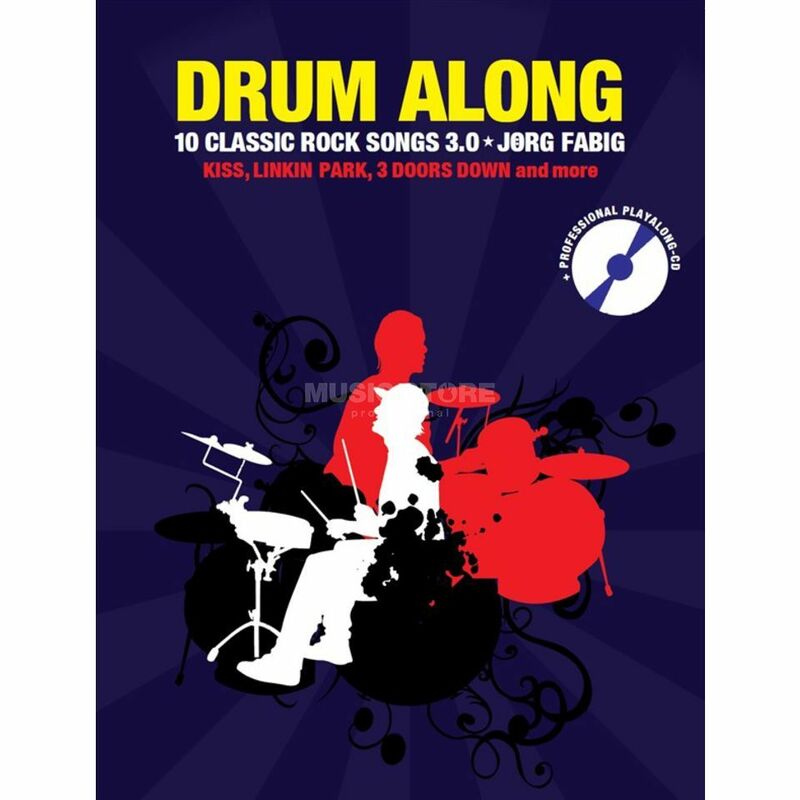 The Classic Rock Songs 3.0 sheet music edition for drums contains songs by such greats as Kiss, Bryan Adams or Linkin Park. All titles are clearly arranged. Each lead sheet contains the different parts of the song and the corresponding beat patterns. The songs can be recorded faster and the concentration can rest completely on drumming. The CD contains each song as a full version with vocals and as a play along version without drums.